Hi, friends. It’s been pretty quiet on the blog this month for a number of reasons and I’ll be sharing more about that at some point. 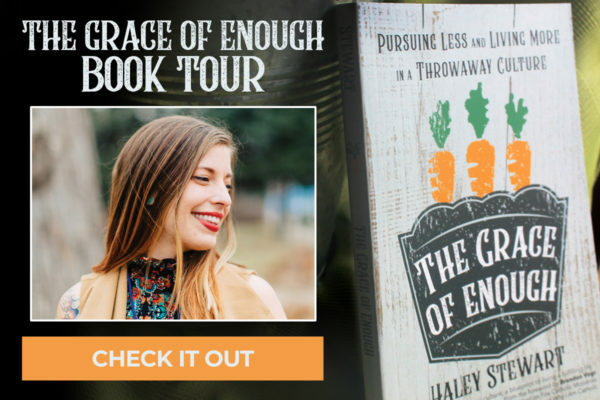 But I really wanted to jump in with an announcement that the virtual book tour for The Grace of Enough starts TODAY! I’d love to do an in person book tour at some point but with a new baby, this fall doesn’t seem like an ideal time. So we’re doing the next best thing. Some of my favorite bloggers and podcasters are hosting a book tour for my new book and I’d love for you to join in by checking out the posts, interviews, and podcasts! 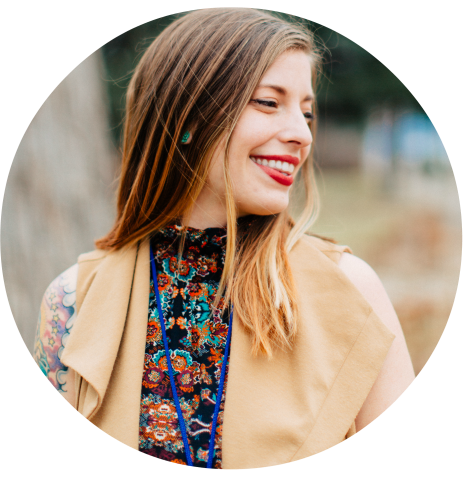 Oct 4: Allison Gingras, Reconciled to You, Facebook Live @ 12:30pm EST! Here’s a recent review from Foreword Reviews if you’re interested! A huge thank you to each and every one of you who have already ordered the book. I just had no idea what to expect having a book published, but it has been incredibly exciting. In fact, my publisher has already ordered a second printing because they were running out of books! 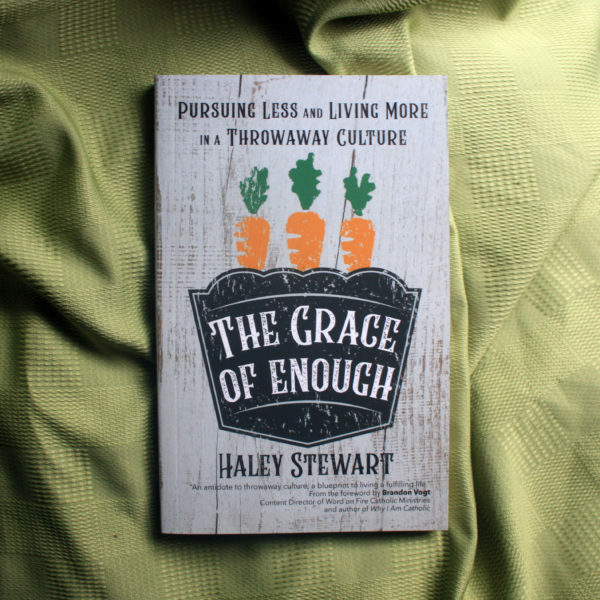 I know that is in large part due to having such wonderful readers ordering and sharing about The Grace of Enough. Thank you from the bottom of my heart! 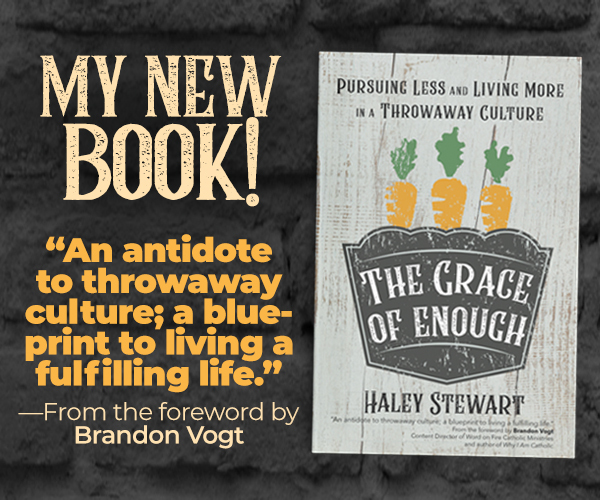 And if you haven’t ordered yet, Amazon has a sale going for the book today! It’s 27% off. I have no way of knowing how long they’ll have it discounted, so go ahead and grab a copy with the sale price while you can! My library took my suggestion and ordered it! Now I’m waiting…less than patiently. I guess the virtual tour can tide me over till it comes in. Thank you so much for suggesting it to your library! Oh yay! So exciting to know it made it’s way across the pond!